I have very creative son who just turn 10. We made a blog last year for him with Naruto theme. He put Naruto pictures, songs. Well, this year he is interested with Harry Potter. He made a Harry Potter Glasses with duck tape, he cut and polish a tree branch, painted it and made a wand. The important thing is he start to organize his blog. BE CAREFUL: He added some music and when you open it , they start to play with high volume. 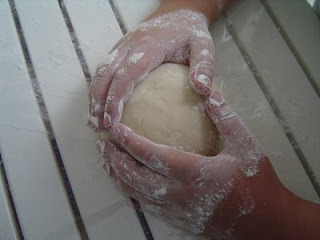 Here is one of his tutorial How to make play dough with salt. It's great tutorial because anybody can make it very easily and it won't dry very long time. Enjoy!